We’ve been keeping our nose to the grindstone here at Zenith City Press. Last week I finished writing a third complete year of “This Day in Duluth” entries, that’s 1,096 so far, including one for leap day. Meanwhile, coauthor Pete Clure and I have sent the manuscript for Naturally Brewed, Naturally Better: The Historic Breweries of Duluth & Superior off to ZCP’s intrepid copy editor Scott Pearson, and four highly motivated interns from UMD’s writing, history, and graphic design programs are working on creating the book’s index, researching the region’s modern craft breweries for the epilogue, and editing the more than 900 historic and modern images we’ve been gathering for years. So we’re on target to release the book in time for Oktoberfest 2018. Meanwhile, Jeff Lemke of Twin Ports Rail History and I are making early progress on ZCP’s next book, a history of the railroads that have served Duluth and Superior from 1870 to today we will very likely title Twin Ports Rail History. Besides being an expert on this region’s railroads, Jeff is a photographer and image collector whose amazing archive is partially on display at the TPRH Flickr account. where you will find this album of 70 images of steam trains in the Twin Ports. And if that wasn’t enough, he custom builds amazingly detailed brass scale models of historic locomotives and other rolling stock at Jeff Lemke Trains. We’ll keep you posted as to the “Beer” book’s release. 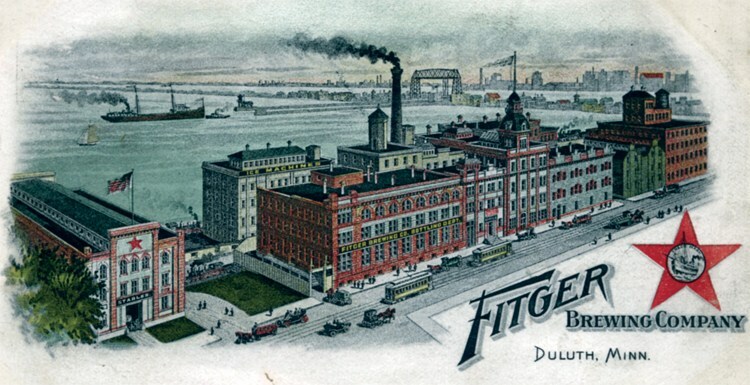 In the meantime, you can read a brief overview of Duluth’s brewing history from 1859–1972 of brewing in Duluth here.